DeNet, Hong Kong-based Company with a development back-office in Kazan (Russia), is international provider company that is developing decentralized hosting service and a marketplace platform for data storage, based on blockchain technology. DeNet is targeting to build a new decentralized network for providing and leasing IT capacities for hosting, storing and processing data all over the world. DeNet aspires to become an ‘on-demand’ infrastructure decentralized platform which is secure, cheap and high-quality. Why is DeNet based in Hong Kong, China? Our target market is Asia, particularly South Korea, India, Malaysia’s/Indonesia, China. We must be located in the heart of it. What is your main resource? Our main resource are the people. There are cool programmers, best specialists in the field of management, finance and marketing in DeNet team. The ideas of the DeNet really inspires each of us. We have an unconditional confidence that we create the best products. What products are you talking about? Storage - distributed free storage with absolute protection. Hosting - a platform for hosting static sites on the network Denet. In what directions will the project work? Currently we update file storage, so users feel no difference whether they use dropbox/google or DeNet while storing data. 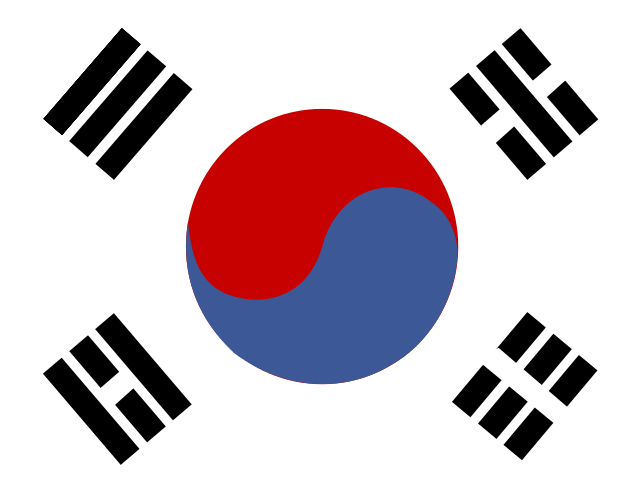 Plus we are planning our second trip to South Korea since it is our first market and we need to see partners we gathered there and establish local company+staff. Another direction is China and India. On the other side, our main advantage over old-fashioned “centralized” services (like Dropbox or Google Drive) is that system can scale without any human interruption. Also, there is no need to build data-centers and we don’t retain the operational costs on management. Currently, popular cloud storages keep file security keys within themselves. It means that if someone has highlevel access rights (government or other third parties) he is able to see your private data. The same story with data centers which might include your applications, sites, or any your personal data. We want to change current concepts of storing data. On our systems, your data will be encrypted and stored by people, on their computers that are located in their homes. Only you can have private keys and only you can have access to your data. One of the important features in DeNet is that in contrast to classic services we are free from the human factor and everything depends on community consensus and based on mathematical rules embedded in the system. In particular, there are no third parties in DeNet that can sell your data to intruders. Do you have a working product available to test? What the difference between centralized and decentralized networks? The biggest difference between centralized and decentralized networks is in the way they store and process information. In a decentralized system, data fragments are encrypted and distributed along the nodes (devices from around the world which will be lend out by other users) – therefore there is no central center for information processing like in centralized networks, meaning that there it is not possible to gain access to the personal information of others. What the difference between Dropbox, Google and other everyday cloud services and DeNet storage? STORAGE - a safe place for your private information, important documents, photos and videos. It is as convenient and simple as your everyday used cloud services. But secure. Has the code for your product been published, and has is it been audited by an independent cybersecurity company? The source code for the product has not been published, but the principles of the system are described in TechPaper, which entitles anyone to study the architecture of the system and evaluate its security. And we will upload the repository on GitHub in the near future. Why does DeNet store data more securely than a regular data center? All the information uploaded to DeNet is not just encrypted but is stored across many different devices. Moreover, in P2P network there is no single centralized data center between the nodes, which means that only you will ever have access to your own files and only you will be able to open them. The EU’s General Data Protection Regulation (GDPR) affects every company that works with European users.Also, similar laws are now working or being developed in other countries and regions. These regulations obligate companies that work with user’s private data to provide users full control over this data, including complete removal and usage reports. This additional functionality implies additional costs. Particularly, big corporations like Google and Amazon are analyzing data and they now need to provide full information about how private data is processing and “unlearn” artificial neural networks when a user wants to delete it.DeNet does not fall under such kind of laws, because we don’t identify users, and private data cannot be used by DeNet, because there is no central authority. Will the speed be as fast as it is provided by the traditional hosting services? The more processing power the network accumulates the higher the work speed will be. We use VPN nodes to reduce the latency. We expect that the speed will be as fast as the centralized services provide. How profitable is it to host with DeNet? Hosting with DeNet will cost only a fraction of what the traditional services take. By the time DeNet attains an entire network of virtually unlimited resources, it will be able to cut technical, maintenance and transactional costs to a significant degree. Apart from above, DeNet proposes payment only for used facilities, which means that client will never overpay for idle capacities as it is done in traditional cloud services. When I could create site and visit it? Can you host a website that uses a lot of data? Yes, there are no limitations on a hosted site size, as the network is potentially unlimited. Nevertheless, uploading a site which contains a huge amount of information may affect the speed, but once it is inside the network it will be treated like any other site. What are you going to do with illegal content? DeNet does not encourage illegal content in any way. Although all the files are encrypted and fragmented and only a user has access to his own information, there are public access web sites hosted with DeNet. In this case the searching machines should detect and deactivate illegal content. Therefore, users remain responsible for the content they upload. Is it safe to lend out your storage space if you don’t know what is going to be stored there? Nodes will host only parts of data, which are encrypted. It is impossible to open the file without full download of a website. Only a site owner knows what will be stored and takes the responsibility for the uploaded content. What if a node is turned off when I want to access a website that is stored there? If a super node (number one for request) goes offline, the first available backup node will switch on. How is the internal file sharing process organized? Every device within the system becomes one of the nodes, which are interconnected to each other to provide the information exchange process. How much can I earn lending my processing powers? The rates, the terms and the conditions are still being worked out. We expect that a node will be able to recoup at least electricity and internet costs. According to our token economy, we reward owners of the nodes with a good reputation, therefore, if a node works well 24/7, the income will be higher. How will a lender get paid? The lender is paid DNET tokens for the completed tasks. Will my computer function properly? Yes, DeNet will not affect the work of your computer without your confirmation. It is you who decides how much storage space and processing power are to be lent out. Why do we use Blockchain-based payment platform? The computing powers owner gets the opportunity to monetize them within the framework of a transparent and reliable scheme provided by blocking technology and the settlement system based on the DNET token. Also this is an opportunity to register tasks and execution of tasks using smart contracts + token distribution from hoster to nodes and provides tracing of DeNet Reputation (DRS) token nodes. We build own technology because there is still no decentralized/distributed platform that supports real hot data storage and executable services. For example, IPFS can’t be used for hot data, Ethereum is not suitable for site-hosting, etc. Our platform consists of modules (Storage, CDN, Script, Hosting) based on DeNet.Core. DeNet.Core is main self-managing service that defines workflow of the whole system. Why don’t you use IPFS? Our system implementation supposes masternodes usage (or supernodes) as the layer between the user and the decentralized network. At the beginning, masternodes will be launched on our servers and on servers of our partners (Giga-Watt, Daplie, Eggs, etc. ), and later every sub-node will be able to become a master node if it has good performance and high rating for a long time. Also, masternodes will control work of the system by setting tasks for sub-nodes, giving challenges and checking proof correctness. It needs to be mentioned that masternodes are not authority parties. They also follow all the decentralization principles. Almost every blockchain has masternodes, for example, there are mining pools in BitCoin. In fact, mining pools are very powerful nodes, but in BitCoin, they exist for economic reasons, but in DeNet masternodes are made for optimization reasons. To ensure that node is working and storing data we introduce proof of storage algorithm. As a proof for challenge node must provide the hash of a part of a file. Challenge is a tuple (file, L, R), where file is the name of the file to check, L– left bound of the part to be hashed, R– the right bound. Nodes that don’t provide proof for a challenge will be penalized according to the rating system and will have no reward for storing this file. We use reputation system as a heuristics to reduce the overhead on checking files consistency and reliability. Reputation is to be developed according to statistics gathered during DeNet.Storage tests. Can a computer of any kind become a node? A computer should be registered within the network and be able to communicate with the other devices engaged in the system in order to become a node. There are different types of nodes depending on a rented out computing power, quality of a bandwidth and an amount of time online. What do one need to do to lend out the extra processing power via DeNet? Users have to register their computers within the network and transform them into the nodes. This can be done by downloading the DeNet software and installing it on a computer. When will you share decentralized side source code? DeNet is a private IT company which develop know how technology. We, like Apple, Microsoft, Cisco, value the privacy and security of our users. Our aim is to deliver high end product for reasonable cost. Since technology development is made in-house by programmers who work in denet we do not have to share code for external users/ outsource developers. We are conducting external security audit of the DeNet platform by reputable IT Cybersecurity companies.We will open code for customers API and tailored made adjustments. Yes, there are two types of bounties to collect: 1) for the social media shares 2) for joining the network as a user, for instance, lending out your spare processing capacity, finding bugs and giving us a feedback and suggestions. Why should I buy DeNet tokens? DNET token will be used to pay for server leasing, as well as for accumulation (in order to reduce the fees). Token economy model implies high volume circulation inside the ecosystem. We correct the fundamental inefficiency of the market, related to the non-use of free computing power. We do have an MVP available at https://alpha.denet.pro/. The market volume is more than one hundred billion dollars (only in the segment of Web Hosting). Market continues to grow with the increasing number of sites and the demand for cloud solutions. The industry of decentralization of computing power and decentralized hosting is extremely hot. Where can I buy DeNet tokens? DeNet tokens may be purchased by an authorized user at denet.pro during the token sale for BTC, ETH, BCH and LTC. How your token will be used? Tokens are implemented as a universal currency for all network users regardless of their location or origin. Tokens help everyone to make sure that all the micro transactions are fast and traceable. Was your smart contract audited by an independent cybersecurity company? Our smart contract does not need official verification, as it is built on the ERC827 contract from Zeppelin Solutions, which in turn deals with cybersecurity. How do I participate in the Pre-Sale and Main Round of the Dnet Token Sale? You can join to our whitelist by this link https://token.denet.pro/. We will inform you about all news and updates. Don’t miss our announcements! Where can I find the smart-contract code? What will DeNet do with my information provided during verification? We use it only for checking KYC and do not pass it on to third parties. What is soft-cap and hard-cap? Soft cap - 3 mln$, hard cap - 24.5 mln$. What will you do with the money raised? We do not have the minimum amount of investment. But be careful when making transfers and consider the commission of the network of the invested currency. When will DeNet start making money? According to our model DeNet service will be profitable on 23 month. What is a Token Sale exactly? Token Sale is a means of crowdfunding centered around crypto-currency, which can be a source of capital for companies. In a token sale, some quantity of the cryptocurrency economy is allocated to investors in the form of "tokens," in exchange for legal tender or other cryptocurrencies such as Bitcoin or Ethereum. These tokens become functional units of currency when the minimum funding goal is met. There are generally two types of token sold; security tokens and utility tokens. The Dnet token is a utility token. How many tokens will be available during the token sale and how many will be created in total? 1 billion tokens will be created in total, 70% will be available during the token sale. There will be no unsold tokens, actually. We'll mint only sold tokens. Can US investors participate in the sale? If yes did you secure Reg-D?